The Fund revised up its forecast for global growth to 3.9% for both 2018 and 2019, a 0.2 percentage point change from its last update in October. Sweeping US tax cuts are expected to boost investment in world's largest economy, says IMF. 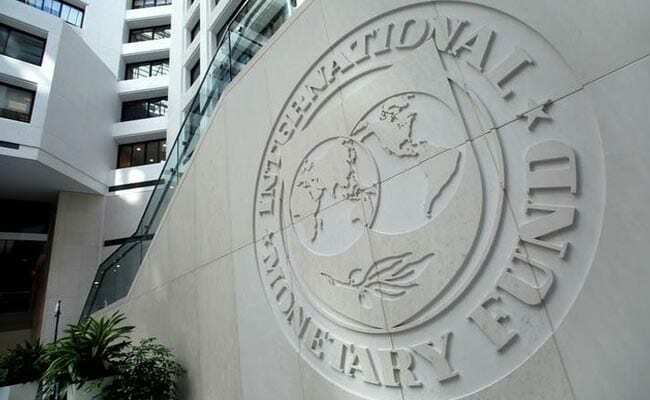 The International Monetary Fund on Monday revised up its forecast for world economic growth in 2018 and 2019 saying that sweeping US tax cuts were expected to boost investment in the world's largest economy and help its main trading partners. The tax cuts would likely widen the US current account deficit, strengthen the US dollar and affect international investment flows, IMF chief economist Maurice Obstfeld said. US President Donald Trump signed Republicans' massive $1.5 trillion tax overhaul into law in December, cementing the biggest legislative victory of his first year. The tax package, the largest such overhaul since the 1980s, slashed the corporate rate from 35 per cent to 21 per cent and temporarily reduced the tax burden for most individuals as well. The US economy has been showing steady but underwhelming annual growth since the last recession in 2007-2009. The Fund revised up its forecast for global growth to 3.9 per cent for both 2018 and 2019, a 0.2 percentage point change from its last update in October. It also said that economic activity in Europe and Asia was surprisingly stronger than expected last year, and global growth in 2017 was now estimated to have reached 3.7 per cent, 0.1 percentage point higher than the Fund projected in October. "The US tax policy changes are expected to stimulate activity, with the short-term impact in the United States mostly driven by the investment response to the corporate income tax cuts," the IMF said in the update, which was released on the sidelines of the World Economic Forum in Davos, Switzerland. "The effect on the US growth is estimated to be positive through 2020, culminating to 1.2 per cent through that year," it said, cautioning that after 2022 the tax cuts were expected to lower growth for a few years. The IMF said the US economy was now expected to expand by 2.7 per cent in 2018, higher than the 2.3 per cent the Fund forecast in October. US growth was projected to slow to 2.5 per cent in 2019, it said. The IMF also revised up its growth forecasts for the euro area, especially for Germany, Italy and the Netherlands "reflecting the stronger momentum in domestic demand and higher external demand." However, it cut its forecast for Spain's growth for 2018 by 0.1 percentage point, saying political uncertainty was expected to impact business confidence and demand. The Fund revised up its growth forecast for Japan to 1.2 percent this year and 0.9 percent in 2019. It maintained its projection for Britain's growth at 1.5 percent this year. The IMF maintained its forecast for growth in emerging markets and developing countries for this year and next. China's economy was expected to expand 6.6. per cent this year and slow to 6.4 per cent in 2019. The IMF said growth in the Middle East, North Africa, Afghanistan and Pakistan was also expected to pick up in 2018 and 2019 but remain subdued at 3.6 per cent this year. The global financial institution said growth in the Middle East and Sub-Saharan African would be impacted by weakness in their larger economies, Saudi Arabia and South Africa. The IMF revised down its growth estimate for South Africa to 0.9 per cent for this year and next amid concerns over political uncertainty. It maintained its projections for Nigerian growth at 2.1 per cent this year and 1.9 per cent in 2019. In Latin America, growth will be weighed down by an economic collapse in Venezuela despite a pick-up in economic activity in Brazil and Mexico, the Fund said.